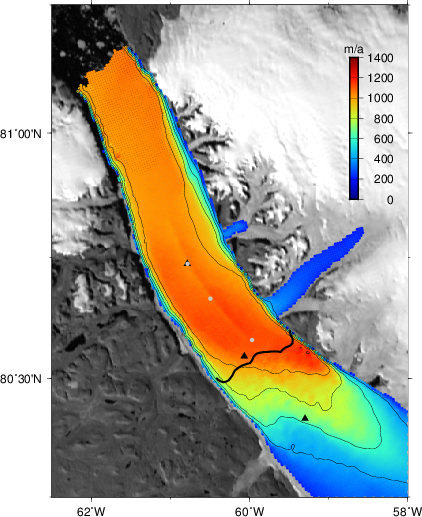 Speed of Petermann Gletscher for the 2005/06 period from RadarSat interferometry (Joughin et al., 2010). Symbols indicate dual frequency GPS position. Black line near lower center across the glacier indicates the grounding zone.